Community Giving Project - June 2018 Bonus! 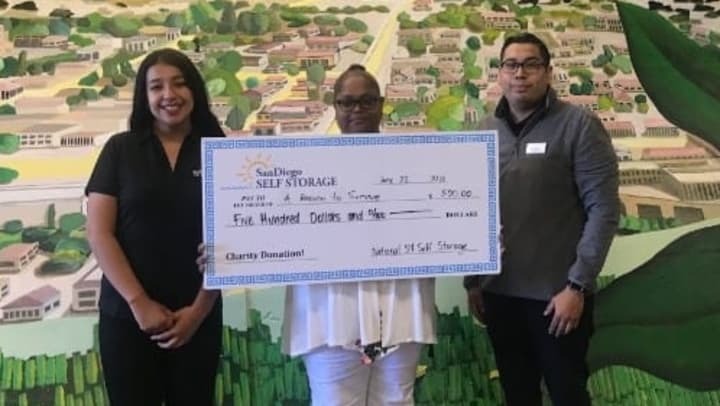 National/54 Self Storage chose to make their contribution to ARTS (A Reason to Survive) once again this year. The team took some time to research organizations in National City and though they wanted to contribute to every single cause and organization they found, ARTS was one that continually stood out. The ARTS facility in National City serves as a remarkable hub for the youth in the community. ARTS provides free education, community development and even provides children with counseling and support groups, along with mentorship programs aiming to ease the road to college. The National/54 team found it inspiring to listen to some of the stories the kids share about how ARTS has helped them. Listed below are some of the links to the videos which helped renew the desire to donate to this organization once again this year. Great choice, National/54 Self Storage! ARTS is an inspiration to us all!